TORONTO, Jan. 16, 2019 /CNW/ - RNC Minerals (TSX: RNX) ("RNC" or the "Company") is pleased to announce that it has closed its previously announced bought deal and concurrent private placement financing of a total of 19,565,000 common shares of the Company at a price of $0.46 per common share for aggregate gross proceeds of $8,999,900. The financing consisted of an offering of 13,044,000 common shares, sold on a "bought deal" basis at a price of $0.46 per common share through a syndicate of underwriters, led by Haywood Securities Inc., and including Laurentian Bank Securities Inc., BMO Capital Markets, Canaccord Genuity Corp., and Macquarie Capital Markets Canada Ltd. (collectively, the "Underwriters") and Red Cloud Klondike Strike Inc. as selling agent, for gross proceeds to the Company of $6,000,240 (the "Offering") and, concurrent with the Offering, the sale, on a "bought deal" private placement basis, of 6,521,000 common shares of the Company at a price of $0.46 per common share for additional gross proceeds of $2,999,660 (the "Private Placement"). The Private Placement has been sold to Eric Sprott&apos;s holding company, 2176423 Ontario Ltd. In connection with the Offering, the Company has granted the Underwriters an over-allotment option to purchase up to an additional 1,956,600 common shares at $0.46 per common share, exercisable in whole or in part, at any time and from time to time on or prior to the date that is 30 days following the closing of the Offering. If this option is exercised in full, an additional $900,036 in gross proceeds will be raised pursuant to the Offering and the aggregate gross proceeds of the Offering will be $6,900,276. The securities offered in the Offering and the Private Placement have not been, and will not be, registered under the U.S. Securities Act or any U.S. state securities laws, and may not be offered or sold in the United States or to, or for the account or benefit of, United States persons absent registration or any applicable exemption from the registration requirements of the U.S. Securities Act and applicable U.S. state securities laws. As a result of the Private Placement, Mr. Sprott&apos;s holdings increased to more than 10% of the outstanding common shares. On November 15, 2018, Mr. Sprott acquired control over 1,000,000 common shares such that Mr. Sprott beneficially owned or exercised control or direction over 41,216,042 common shares and, when taking into account the Company&apos;s prior issuances of common shares, his percentage holdings dropped from approximately 10.1% (as reported in his early warning report dated September 20, 2018) to approximately 9.2% of the then outstanding shares. Mr. Sprott now beneficially owns or exercises control or direction over 47,737,042 common shares, representing approximately 10.2% of the outstanding common shares. Mr. Sprott purchased the common shares for investment purposes. He has a long-term view of the investment and may acquire additional securities either on the open market or through private acquisitions or sell the securities either on the open market or through private dispositions in the future depending on market conditions, reformulation of plans and/or other relevant factors. The updated early warning report will appear under the Company&apos;s profile on SEDAR or may be obtained by calling Mr. Sprott at (416) 362-7172 (200 Bay Street, Suite 2600, Royal Bank Plaza, South Tower, Toronto, Ontario M5J 2J1). RNC has a 100% interest in the producing Beta Hunt gold mine located in Western Australia where a significant high grade gold discovery - "Father&apos;s Day Vein" - was recently made. RNC has initiated a 40,000 metre drill program on near mine exploration targets focused on the Father&apos;s Day Vein area, results of which will be incorporated into an updated NI 43-101 compliant Mineral Resource Estimate targeted for Q2 2019. Beta Hunt gold resource potential is underpinned by multiple gold shears with gold intersections across a 4km strike length which remain open in multiple directions adjacent to an existing 5km ramp network. RNC also has a 28% interest in a nickel joint venture that owns the Dumont Nickel-Cobalt Project located in the Abitibi region of Quebec which contains the second largest nickel reserve and eighth largest cobalt reserve in the world. RNC owns a 35% interest in Orford Mining Corporation, a mineral explorer focused on highly prospective and underexplored areas of Northern Quebec and the U.S. Carolina Gold Belt. 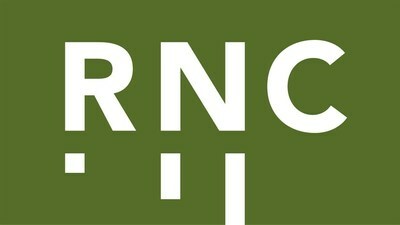 RNC has a strong management team and Board with over 100 years of mining experience. RNC&apos;s common shares trade on the TSX under the symbol RNX. RNC shares also trade on the OTCQX market under the symbol RNKLF. This news release contains "forward-looking information" including without limitation statements relating to the success of the bought deal financing and use of proceeds therefrom, liquidity and capital resources of RNC, production guidance and the potential of the Beta Hunt Mine as well as the potential of the Dumont development project and Orford Mining&apos;s Qiqavik, West Raglan, Jones-Keystone Loflin and Landrum-Faulkner exploration properties. Forward-looking statements involve known and unknown risks, uncertainties and other factors which may cause the actual results, performance or achievements of RNC to be materially different from any future results, performance or achievements expressed or implied by the forward-looking statements. Factors that could affect the outcome include, among others: future prices and the supply of metals; the results of drilling; inability to raise the money necessary to incur the expenditures required to retain and advance the properties; environmental liabilities (known and unknown); general business, economic, competitive, political and social uncertainties; results of exploration programs; accidents, labour disputes and other risks of the mining industry; political instability, terrorism, insurrection or war; or delays in obtaining governmental approvals, projected cash operating costs, failure to obtain regulatory or shareholder approvals. For a more detailed discussion of such risks and other factors that could cause actual results to differ materially from those expressed or implied by such forward-looking statements, refer to RNC&apos;s filings with Canadian securities regulators, including the most recent Annual Information Form, available on SEDAR at www.sedar.com.